Always tastes better when shared! Tucked neatly into the edge of Knuckey Street, just a few minutes’ walk from the centre of Darwin city is Ben's Bakehouse. An iconic breakfast and lunch destination, the team at Ben's Bakehouse have been serving up delicious baked goods, baguettes and hot meals to locals for many years. Time has not diminished the quality, and we continue to delight our customers with our creative offering of sandwiches, pastries, doughnuts and slices. Daily, we create a feast of fresh products by hand, and our selection of pies and pastries are baked instore. If your palate craves something more substantial, we offer a full menu brimming with tasty large plates including hot breakfast options.We are a firm fixture on the Darwin lunch circuit, attracting office workers and tradies to dine together in our quiet café. With just about every appetite catered for, Ben’s Bakehouse is stamping out the age-old argument of “Where will we grab lunch?” Our outdoor seating area is covered, enabling you to dine al fresco and take in the sounds of the city. At Ben’s Bakehouse we pride ourselves on offering quality catering at affordable prices. We can tailor your order to fit the specific needs of your occasion, whether it’s for a work meeting, children’s party or family gathering. The team at Ben’s welcome all dietary requirements and can create gluten free, dairy free, vegetarian and vegan options without compromising on taste. 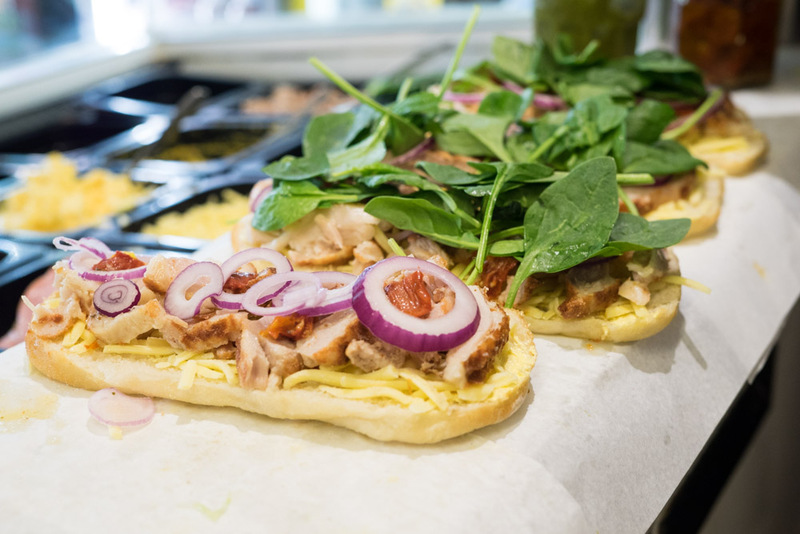 From party pies and pastries to sandwiches, baguettes, salads and sweets, we create everything from scratch and will deliver to you fresh on the day. Pop us a message, and we will be in touch shortly to chat budget, occasion, numbers and food preferences. We promise to work closely with you to create a catering package that ticks all your boxes. If you would like to make the same day order, please call the cafe. Otherwise, please allow 48 hours for us to fulfil your order. © Ben's Bakehouse Darwin 2018. Darwin website designed & developed by Webb & Flow.